Explore our bachelor's, master's, and doctoral degree programs. Logan University offers superior training for Doctors of Chiropractic and other holistic health sciences practitioners. Learn from some of the world's best educators and clinicians in an environment that will advance your knowledge and skill as it nurtures your growth. 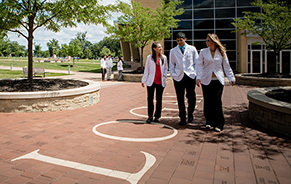 With seven online and on-campus degree programs, a variety of electives and clinical opportunities, Logan lets you chart your own path to becoming a health care leader. 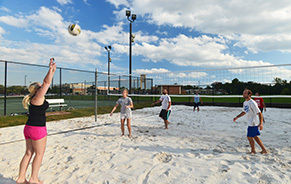 From our beautiful campus near St. Louis, Missouri, Logan has built a global reputation for academic excellence, our outstanding faculty and state-of-the-art facilities. We are proud to be ranked as one of the top chiropractic colleges in the country. Admissions guidelines for the Doctor of Chiropractic Degree. A wealth of clinical experiences are available to each Doctor of Chiropractic student. Learn about the core chiropractic techniques taught as well as the variety of electives available. Details regarding the Doctor of Chiropractic curriculum can be found in the Academic Catalog. Logan University’s Doctorate of Health Professions Education (DHPE) is focused on advancing health care through the education process. It is designed to provide health professionals the tools necessary to be successful educators in their chosen health profession. Health informatics is a rapidly changing field where its professionals improve health care by harnessing the wealth of information that spans the patient continuum of care. Multiple disciplines, such as business and technology, intersect with health care in this field. With curriculum blending research and sound clinical applications, students in the Master of Science in Nutrition and Human Performance Program will learn to analyze diet and health status, assess nutrition deficiencies as well as food allergies, and offers patients evidence-based nutrition and lifestyle recommendations. 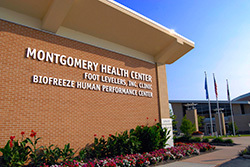 This program is offered online with a hands-on internship and is a unique advanced degree option for sports injury management, which provides the experience, training and confidence that is demanded in the athletic arena. Logan's Human Biology program is offered on campus and online for students interested in entering the health care workforce or pursing professional programs such as medicine, osteopathy, podiatry, chiropractic or dentistry. This program allows students to enter as a first-time freshman or transfer student and earn a Bachelor’s degree while earning credits towards Logan’s Doctor of Chiropractic degree, which allows students to earn both degrees quickly and save on overall tuition costs. Logan University offers students the ability to take undergraduate courses, graduate courses and other general education courses, whether in preparation to complete a degree at Logan or to transfer to their current college or university. Logan University now offers an Early College Credit Program (ECCP) for high school students. The ECCP allows qualified high school junior and senior students to earn college credit while still in high school, thus getting an “early start” on their college education. 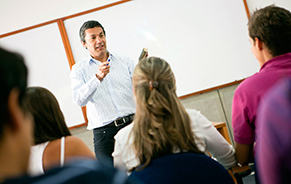 Qualified students may enroll in 100 or 200 level courses. Students are advised by their Academic Success Coach on which courses to enroll in based on background and interests. Contact Admissions@logan.edu for more information. For questions about online course regulations, please view the State Authorization Page.